Just got back from a trip to Portsmouth, England. 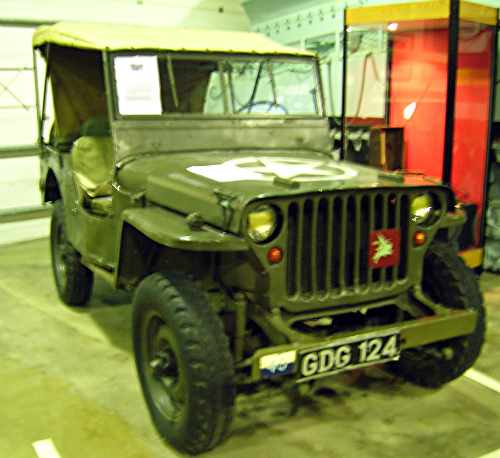 While it’s paradise for a naval buff (if you’re at all interested in naval history, it’s a must-see, especially the Historic Dockyards), there are some land-based military vehicles at the D-Day Museum, including the Jeep above. There’s also the Wight Military and Heritage Museum on the nearby Isle of Wight (just opened this summer) but I haven’t been, so can’t report on it. I understand it’s possible to drive a Centurion tank there! Okay, all the September car events I know about are now up on the September page (see link on the right hand side). I’ll be updating the September page next week sometime, but below are the events coming up this weekend. Lots of great shows on offer.